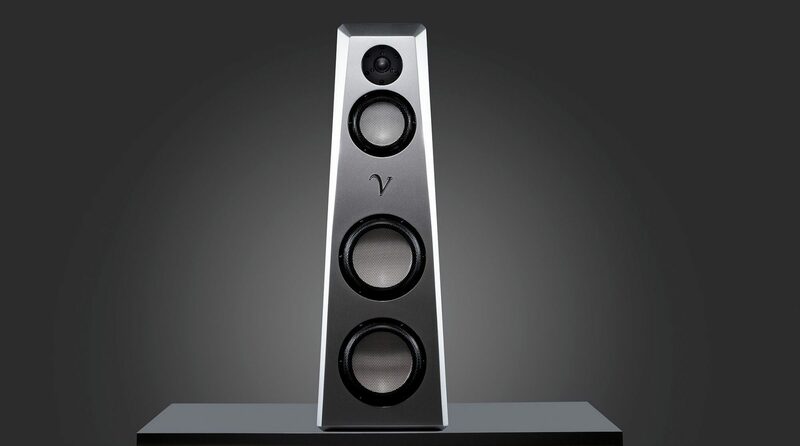 Over three years in development, Von Schweikert Audio is releasing the ULTRA Line; an entire new series of world-class flagship reference loudspeakers. The defining trait of this new line is ultra-low distortion. 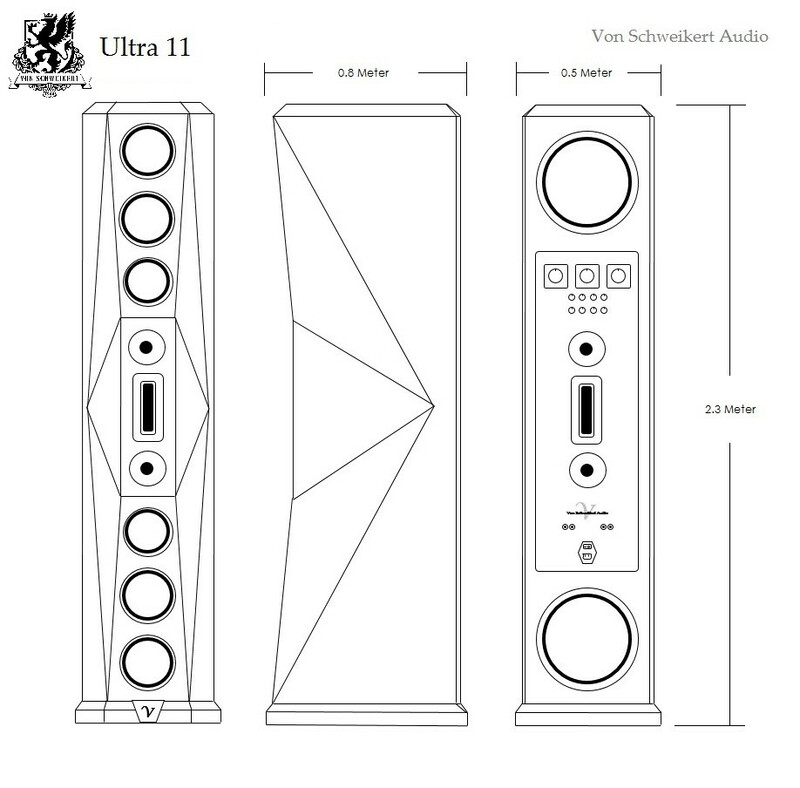 The ULTRA 11 achieves a level of performance and realism previously not possible utilizing an all-new cabinet noise reduction design, low distortion drivers and signal path, as well as our proprietary Global Axis Integration Network circuit design. 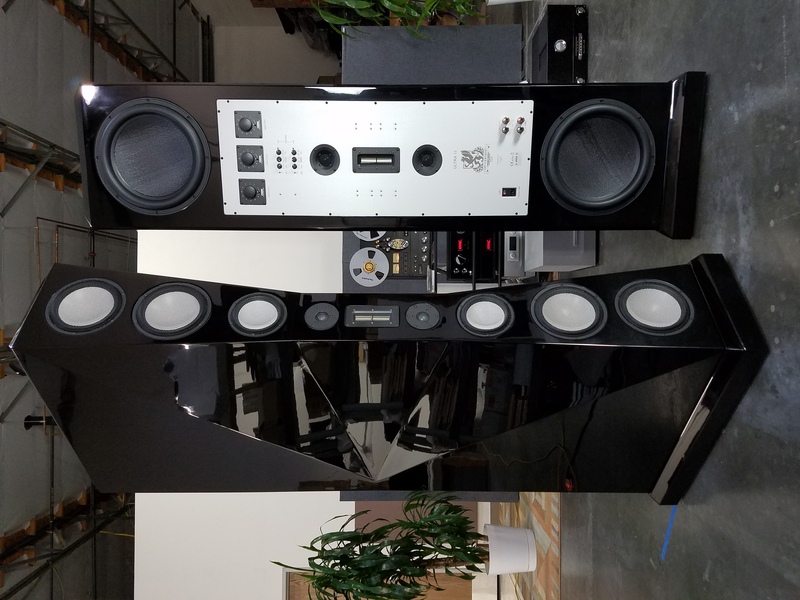 Von Schweikert Audio didn’t invent loudspeakers, but we’ve spent over 40 years perfecting them and the ULTRA 11 is the pinnacle of our efforts. 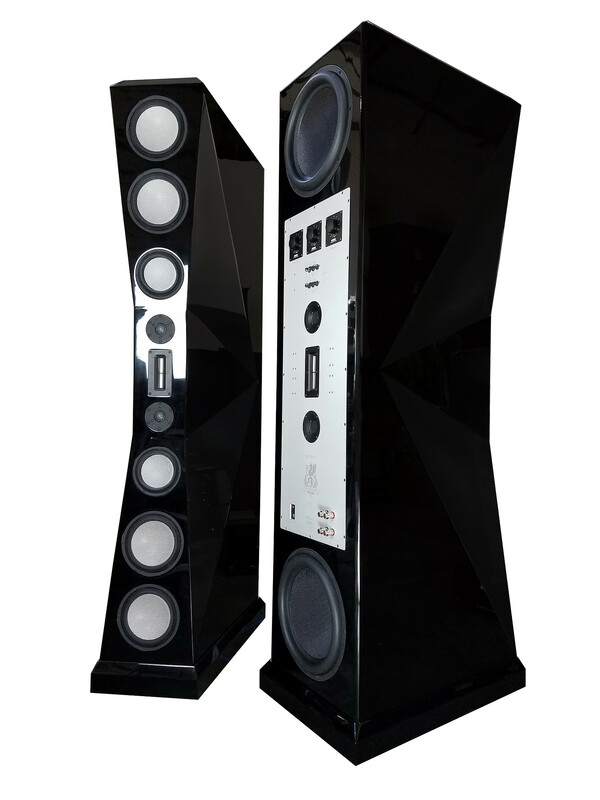 Extremely low distortion, class-defining clarity, three dimensional image focus, and lush harmonic structure set a new world standard. MasterBuilt Ultra Internal Wiring comes standard on the ULTRA Line. Each signal path is individually shielded and damped with point to point connections. Designed by leaders in the Aerospace industry and made with rare and precious alloys. It’s simply the most transparent signal path available! For more information, click here! Time Alignment, Phase Consistency, and adjustable bi-polar sound radiation pattern for room-filling sound. All ULTRA 11 systems employs four 15” powered subwoofer systems for response from 10Hz to 100kHz. The ULTRA 11 is a massive flagship loudspeaker and as such, benefits from mid to larger soundrooms with space for peak performance. This design operates on a bandwidth of 10 Hz to 100 kHz with incredibly low distortion and does so with 94dB sensitivity. 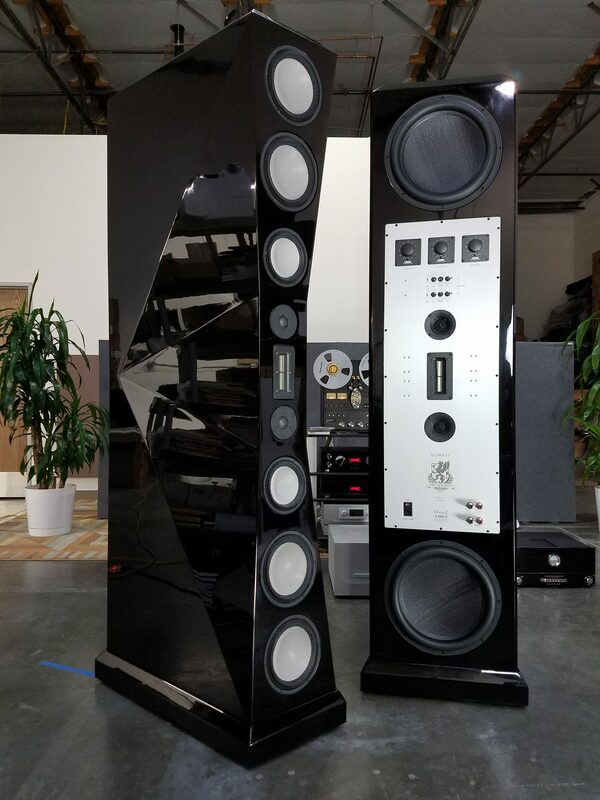 Each channel of the ULTRA 11 loudspeaker system is physically time-aligned and consists of two 1,000-watt powered 15″ sealed subwoofers, four 9″ reinforced ceramic mid-bass drivers, two 7″ reinforced ceramic midranges, two beryllium tweeters, and two 5″ aluminum ribbon super tweeters, one rear firing as part of the ambient retrieval system. When combined with low distortion motor assemblies and the highest quality crossover circuitry available, this transducer array produces the finest and most life like musical presentation available. Indeed, the ULTRA 11 represents true sonic nirvana for those who desire the very best. If these qualities are your personal „Holy Grail“ and music is an important part of your life, the ULTRA 11 is for you! The ULTRA 11 is completely adjustable from bass to treble to match any room condition, electronics, or listening taste. The controls include: Subwoofer level, subwoofer frequency, front tweeter level, super tweeter level and a rear ambience level control. The controls for the front tweeters and super tweeters are 20 position auto formers that do not degrade the signal. The ULTRA 11 utilizes our proprietary Acoustic Inverse Replication (A.I.R.) technology. A.I.R. employs our famous Global Axis Integration Network to enable our ULTRA 11 system to replicate the inverse of recording microphone signal, thus decoding the dimensionality of the actual recorded event. 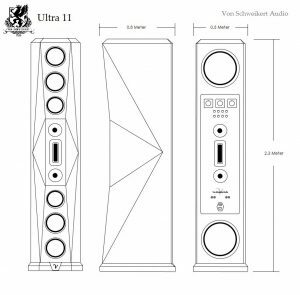 In combination with our rear-firing Ambience Retrieval System, the ULTRA 11 provides thrilling realism guarantee to provoke an emotional response from any music lover.